Recently, I posed the question to the Subcompact Culture Facebook page about who had the car with the smallest tires. I think the smallest was a 4.8-8" tires on a Messerschmitt mini car. Next smallest was 165/70/10 on the Micro Image Subaru 360. The smallest tires I personally had were 145/80/12 on our 1979 Honda Civic 1200. That thing cut through the snow like a hot knife through butter, as evidenced by the video we shot of it in college. Other "small rollers" I remember having were the 175/70/13 tires on our Dodge Colts (yes, we were repeat offenders) growing up. This got me to thinking: What's the smallest sized tire currently available on the U.S. market? 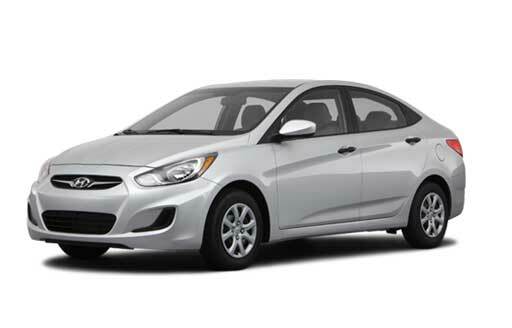 Diameter wise, I believe that goes to the 14" wheels/tires available on the Hyundai Accent. In fact, I think it's the only 2012 to come with 14s wrapped in 175/70/14 tires. Width wise, the Mitsubishi i has the narrowest rollers at 145/65/15 on the fronts. It's amazing to me how 15s and 16s are now standard fare on the vast majority of small cars, when not that long ago (as late 1995) you could still buy a Geo Metro with 145/80/12 tires, and in the '80s, there were plenty of cars on 13s. Everyone wants bigger wheels. 16s are the new 14s. It's funny how some fads get passed along to the manufacturers & then they get stuck there. A lot of these newer setups are ridiculous. It's like the cars are running wagon wheels with rubber bands as tires. Before you know it, 18s will be the minimum mandatory size on the smallest vehicles. The first four cars that I owned (all early to mid-80s Hondas) had the same size tires (175/70R13). I could even afford to buy Michelins in that size without breaking the bank! The OEM Goodyears were an ultra-high-performance tire and they were shot at 27k miles! The Goodyear shop quoted a new identical set at $1200+!!! Luckily, I had done my research beforehand and I had them install a set of Dunlop SP Sport Signatures for $625. They improved ride quality, reduced road noise and came with a 60k treadlife warranty for half the price. The go-cart-like handling wasn't affected and they improved wet-weather handling significantly. I now have 94k miles on the car and just had another new set of Dunlops installed a few months ago. I hate to imagine how many 'economy car' owners have been stunned by the replacement cost for 17" or 18" tires? Not to mention how much it can cost to replace one of the massive alloy rims if it gets damaged! I found out the hard way when a pot-hole bent two of my rims- $460 each!!! Amazingly, the tires weren't harmed, but the 50-series sidewall transferred all of the impact directly on to the soft alloy rims....ugh!